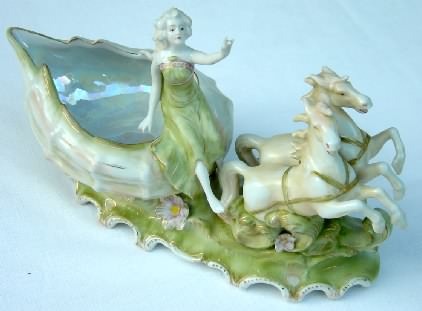 Continental Soft Paste Porcelain: Large Hand painted Victorian Fantasy  Girl Riding Luster Seashell Planter Pulled by Unicorns. Exquisite! 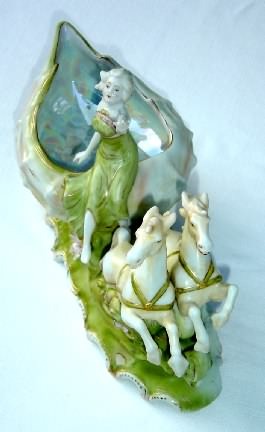 Large figurine measures about 11 x 6 1/2 x 4 inches. 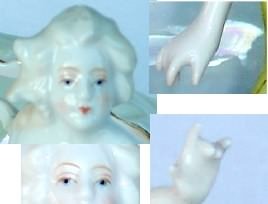 There are no chips or cracks yet one of the fingers feels rough although both hands appear alike in size and shape. 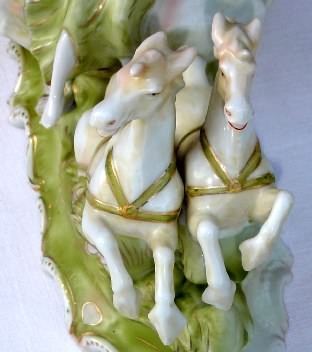 This piece is highly detailed and superbly crafted. Circa 1890-1910. $600.00 USD.